SIR TERRY WOGAN will be posthumously awarded with the Presidential Distinguished Service Award for the Irish Abroad. The broadcaster died at the age of 77 in January, after a short battle with cancer. Originally from Limerick, he was one of the best-loved TV and radio personalities in the UK and Ireland – best known for helming Wake Up To Wogan on BBC Radio 2 and the TV chat show Wogan. 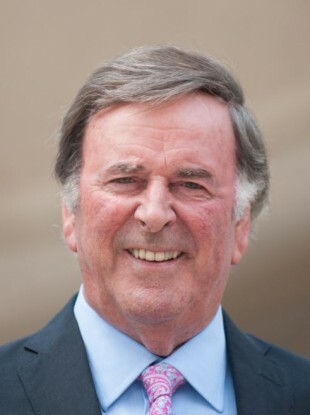 Wogan is one of several members of the Irish diaspora who will honoured for their contributions abroad. The award scheme was established in 2011 as part of the Global Economic Forum. Other recipients of the 2016 awards include Brendan Fay and Kathleen Walsh D’Arcy who secured rights for LGBT members of the Irish community in the US, Sr Mary Sweeney for her role in coordinating the response to the Ebola epidemic in Sierra Leone, and Garret FitzGerald for his work as a research physician and scientist in the US. Minister for Foreign Affairs and Trade Charlie Flanagan announced the list of winners today. “I am delighted that once again we have the opportunity to recognise some of the finest members of our diaspora for their contribution to Ireland, the Irish community abroad and Ireland’s reputation. “In the ever-changing world we live in, this remarkable group of individuals have been a constant beacon for Ireland and the values we hold dear,” Flanagan said. Email “Terry Wogan to receive posthumous Irish diaspora award ”. Feedback on “Terry Wogan to receive posthumous Irish diaspora award ”.